In Overwatch, heroes typically only have a single ultimate ability. That’s no longer true of Symmetra, whose moveset Blizzard Entertainment is being redesigned in a coming update. Lead designer Jeff Kaplan detailed the various changes to the character in the latest Overwatch “Developer Update,”. Among these are tweaks to her turrets and weapon, as well as her ultimate abilities. “Symmetra is going to be the first character in Overwatch to actually have a choice of ultimates,” Kaplan said. When her ultimate is charged, it will light up just as before. Instead of just offering players the chance to trigger her Teleporter move, however, there’s also a shield generator that can be placed to protect the entire team. Symmetra is also getting an entirely new move: the Photon Barrier. Kaplan compared this to Reinhart and Winston’s projected shields, although Symmetra’s version is an elliptical projectile and moves along a trajectory. It can be used both offensively and defensively, according to Kaplan. 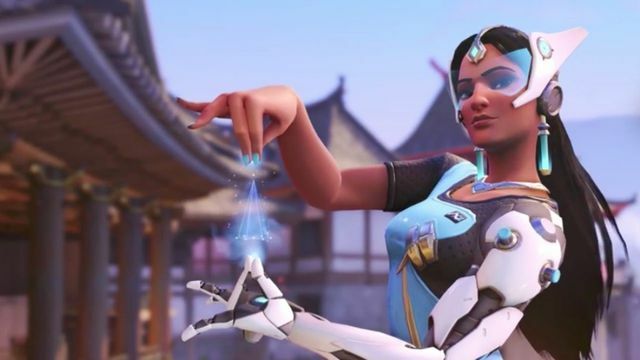 Blizzard is also extending the range of her primary weapon and letting Symmetra players stock up to six turrets at once, changes that will make the support character more aggressive. “Maybe you didn’t play [Symmetra] before because she wasn’t fun or the skill set wasn’t where you wanted to be,” Kaplan said. If that’s the case, he hopes that players will try out her changes to see if she’s more effective as offense and on Control-style maps than before.